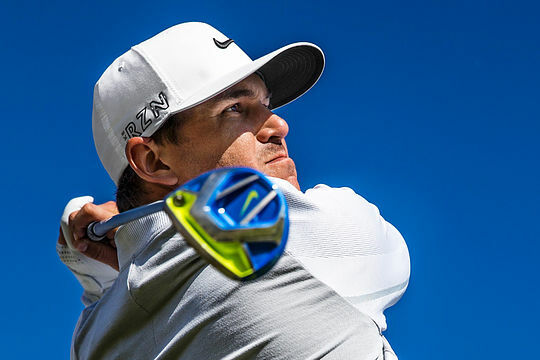 Brooks Koepka and Tony Finau, along with 12 new athletes from around the globe, join the Nike Golf roster. Koepka, who is ranked 14th in the Official World Golf Rankings, turned pro in 2012. The 25-year-old is a three-time All American who competed at Florida State University before joining the Challenge Tour in Europe, where he won four events. On the 2015 PGA Tour, Koepka was a top-ten finisher in driving distance, won the Phoenix open title and finished T5 at the PGA Championship. Finau, meanwhile, turned pro in 2007, upon graduation from high school, where he also excelled at basketball — at 6’4” he is among golf’s tallest players and his cousin is Jordan Brand athlete Jabari Parker. In 2014, after competing on the Web.com Tour, Finau earned his PGA Tour card for the 2014-15 seasons. The all-around athlete is currently ranked number two in average driving distance on the tour and finished T14 and T10 in the 2015 U.S. Open and PGA Championship, respectively.